The Easter holidays may be just around the corner but it’s still not too late to swap the chocolate for coconuts in sunnier climes overseas. With the kids breaking up from school for two weeks, what better way to keep them entertained than a fun-filled family holiday? Don’t worry, holidaying with the little ones doesn’t have to break the bank. By snapping up a last-minute family deal, you’ll be surprised at how much you can save. Here’s our best Easter holiday destinations where you can find an egg-cellent last minute deal for the whole family. It may be famous for its stay-up-late nightlife, but Benidorm has so much to offer families too. Along with its Blue Flag trio of beaches, it’s packed with adrenaline-pumping attractions — theme parks, water parks, animal parks, you name it. Whether you want to be standing inches away from elephants or flying down some of the world’s highest waterslides there’s something to suit everyone. When it comes to finding somewhere to rest your head after a jam-packed day in the parks, there’s a fantastic choice of hotels too. Expect kid’s clubs, West-End style shows or some even have their own splash parks. Learning doesn’t have to stop during the Easter school holidays. Discover the history of Greece, Egypt and Rome in this gigantic destination themed, theme park. You know what they say, every day’s a school day. How do you feel about riding Europe’s highest standing slide? Give it a go at the Aqualandia Water Park. Don’t fancy it? Opt for the Amazon themed lazy river whilst the adrenaline junkies of the family get their thrill. Come face to face with the likes of tigers and elephants at Terra Natura animal park. This is one of the selected few attractions that you can discover the ‘Zooimmersion’ — a new concept where the animals are seen through barriers that are invisible to the human eyes. It’s true what they say, the Canary Islands are a hit with just about everyone. With first-class beaches, big resorts and toasty temperatures in common, each island has its own unique selling points too. Take Gran Canaria for example, here you can ride a camel in its massive sand dunes. Or there’s Tenerife, where you can whizz down a knuckle-clenching slide that’s 28 meters high. Offering so much more than just a beach holiday, these have-it-all islands really are a winner for families. Did we mention they all serve up temperatures up to 22 degrees in April too? 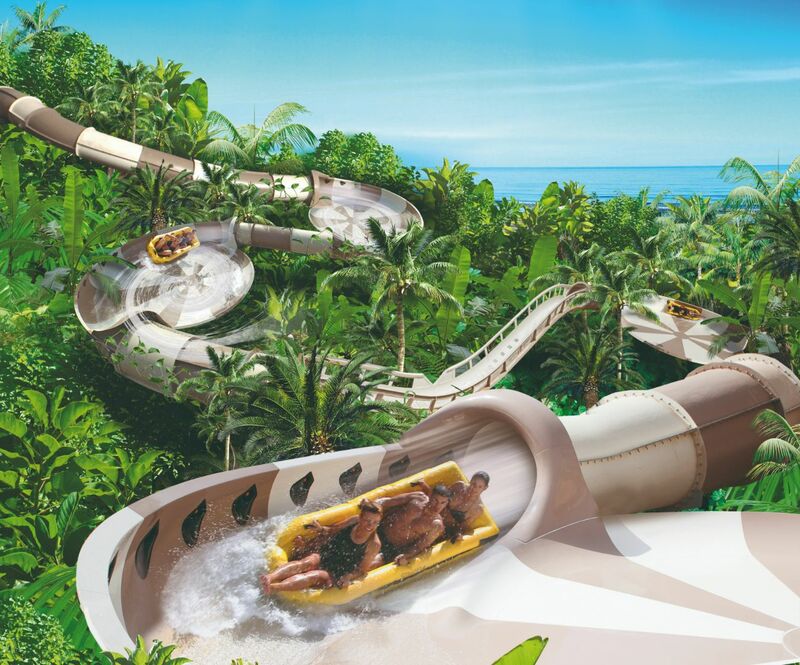 Take the plunge at the world-class waterpark Siam Park. Home to the biggest wave pool in the world, these ones reach up to 3 meters high! 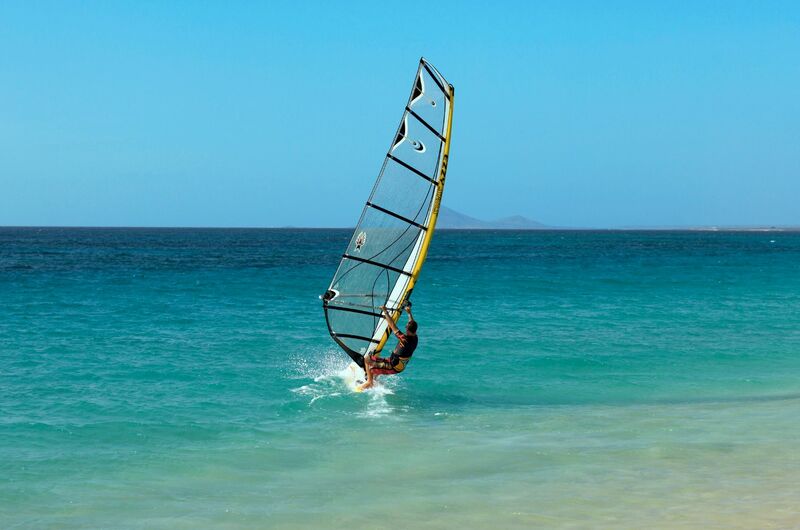 Take part in some of the best water sports in Spain on Lanzarote’s luscious coastline of Costa Caleta. Think windsurfing, kayaking and stand up paddle surfing. Set in tropical gardens on the outskirts of Maspalomas, this zoo-park is a fantastic family day out. Expect to come up close and personal with crocs, butterflies and even dolphins. For a holiday with your nearest and dearest that’s a little further afield, there’s the Cape Verde Islands. Thanks to its have-it-all hotels and close proximity to the UK, it’s easy to see why this destination is a long-time favourite amongst families. Serving up sunshine all year round, these Caribbean like isles are one of our warmest holiday destinations at Easter. In April you can expect temperatures of around 25 degrees — the perfect weather for getting in the sea and trying one of its countless water sports such as wind or kite surfing. If sunbathing is more your thing, there’s miles of sugar-coloured sands for you to bask on too. Blast through the sand dunes of the Viana Desert with a quad bike safari or hire your own 4×4 for a family day out to remember. Discover the spectacular underwater world on a glass-bottom boat trip around the islands. Expect to see fish, turtles and stingrays galore! Head out on a whale watching trip — a thrilling experience for both adults and children. With groups of North Atlantic Humpback whales coming to Cape Verde to give birth from March to May, sightings are very frequent. Offering a mix of laidback and lively, Cyprus has long been a hotspot with not just party-goers but families too. Particularly the Larnaca region and its family-friendly resort of Protaras. Here you’ll find clear shallow waters that are ideal for the little ones. As for the older kids, there’s Nissi Beach and its waterpark or endless supply of water sports. Of course there’s the Paphos region too. Its long list of historical sights are great for families that prefer something a little more cultural than playing on the beach. With UNESCO World Heritage Sites like the Tombs of the Kings sitting right by its golden sands, you can always have the best of both worlds. An ideal beach for families with children old or young, the Fig Tree Bay has shallow swimming waters, a stunning coastline boardwalk and plenty of water sports. 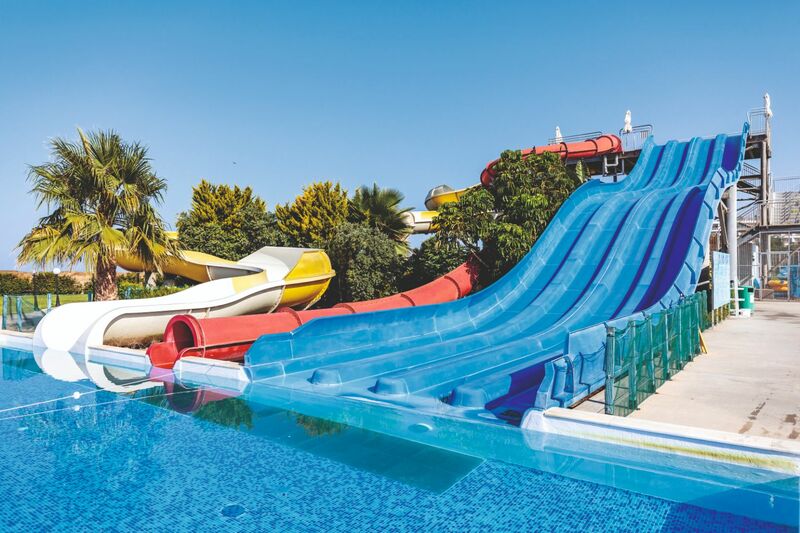 Take a five-minute drive out of Aiya Napa to another of Europe’s biggest waterparks. With all the rides themed around Greek mythology, you might even learn a thing or two as you take the Apollo’s Plunge — a 124-meter waterslide. Ostriches, goats, wallabies and turtles are just a few of the animals you can learn about during a jam-packed day at Mazatos adventure park. With camel riding, amusements and a 5D cinema experience, you’ll have a fantastic family day out. With so many Grecian gems to choose from, it’s no surprise that Greece is one of the world’s most popular holiday spots. Whether you’re jetting abroad with toddlers or teens, it’s got something for you. There’s family-friendly Crete and its historical treasures. Rhodes and its huge list of Blue Flag beaches. Or Zante and its party hubs for the older teens. And that’s us naming just a small handful! 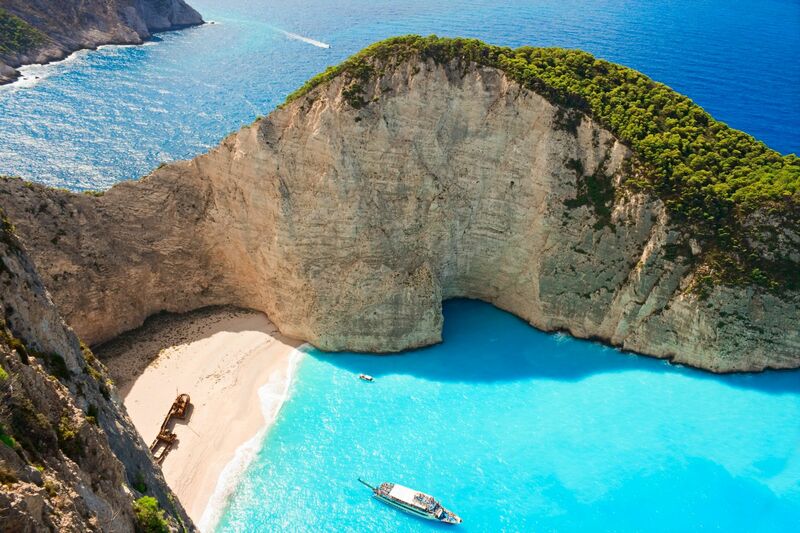 Take the kids to a beach that’s a little out the ordinary— one that’s hidden inside Zante’s Smuggler’s Cove. Getting there is all part of the fun as you can only access by boat. The whole family can take a trip back in time at the Dinosauria Park — a spectacular museum with over 50 different species of dinosaurs to learn about. A family holiday isn’t complete without a day trip to a waterpark. 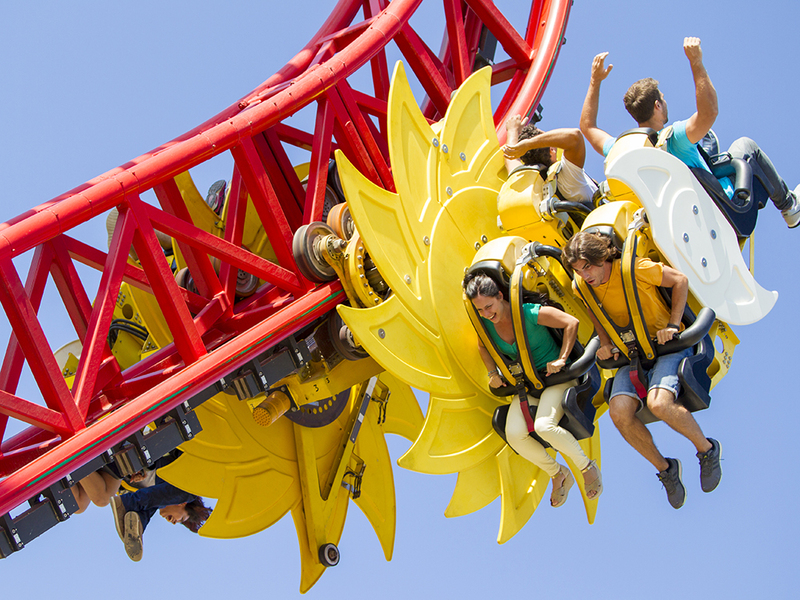 This one is Greece’s largest and offers an unforgettable experience, with rides for all ages. So, how much can you save on last minute family holidays this Easter? Start your holiday search here. Read previous Save BIG on TUI & First Choice summer 2019 holidays!